Award-winning poet, journalist, editor, and author Ted Genoways of Lincoln, Nebraska, has long been recognized for his social justice writing as a contributor to Mother Jones, onEarth, Harper’s and other prestigious publications. While editor of the Virginia Quarterly Review, the magazine won numerous national awards. 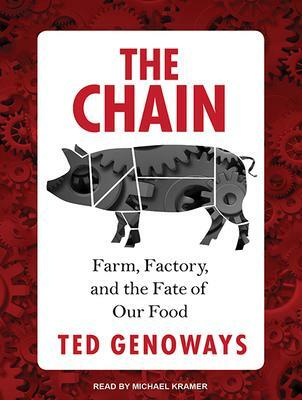 His recent nonfiction books—The Chain: Farm, Factory and the Fate of Our Food, and This Blessed Earth: A Year in the Life of an American Farm—expand on his enterprise reporting about the land, the people who work it, and the food we consume from it. The themes of sustainability, big ag versus little ag, over-processing of food, and environmental threats are among many concerns he explores. He often collaborates on projects with his wife, photographer Mary Anne Andrei. His penchant for reporting goes back to his boyhood, when he put down stories people told him, even illustrating them, in a stapled “magazine” he produced. His adult work took root in the form of secondhand stories of his paternal grandfather toiling on Nebraska farms and in Omaha meatpacking plants. His father noted this precociousness with words and made a pact that if young Ted read a book a week selected for him, he could escape chores. Exposing injustice—just as Steinbeck did with migrants and Sinclair did with immigrants—is what Genoways does. Nebraska Wesleyan professors Jim Schaffer and the late state poet of Nebraska William Kloefkorn influenced his journalism and poetry, respectively. Genoways doesn’t make hard and fast distinctions between the two forms. Regardless of genre, he practices a form of advocacy journalism but always in service of the truth. While working at the Minnesota State Historical Society Press, Genoways released a book of poems,Bullroarer: A Sequence, about his grandfather, and edited Cheri Register’s book Daughter of a Meatpacker. At the Virginia Quarterly, he looked into worker illnesses at a Hormel plant in Austin, Minnesota, and the glut of Latinos at a Hormel plant in Fremont, Nebraska. He found a correlation between unsafe conditions due to ever-faster production lines—where only immigrants are willing to do the job—and the pressures brought to bear on company towns with influxes of Spanish-speaking workers and their families, some of them undocumented. That led to examining the impact “a corporate level decision to run the line faster in order to increase production has up and down the supply chain” and on entire communities. The heated controversy around TransCanada Corp.’s plans for the Keystone XL pipeline ended up as the backdrop for his book, This Blessed Earth. He found “the specter of a foreign corporation coming and taking land by eminent domain” from legacy farmers and ranchers “and telling them they had to take on this environmental risk with few or no guarantees” to be yet another challenge weighing on the backs of producers. “They were especially intriguing because they were building this solar and wind-powered barn right in the path KXL decided to cross their land, and that seemed like a pretty great metaphor for that kind of defiance,” he says. Pipeline or not, small farmers have plenty to worry about. Farming as a way of life is endangered. Chronicling the Hammonds left indelible takeaways—one being the varied skills farming requires. The Hammonds weathered the storm. “They are doing well. They got good news when the Public Service Commission only approved the alternate route for KXL,” he says. Meanwhile, Genoways sees an American food system in need of reform. Visit tedgenoways.com for more information. It should come as no surprise that a writer who chronicled a year in the life of a Nebraska farm family, exposed the dangers of a broken American food system and is now researching Mexico’s tequila industry has always marched to the beat of a different drummer. Growing up, Ted Genoways was encouraged to read books well beyond his years by his natural museum administrator father, Hugh H. Genoways. That was okay with the youngster because he liked reading, even though it took his dad makiing a bargain with him to replace comic books with classics. The great American interpreter of the common man’s struggles, author John Steinbeck, became an inspiration for Genoways and remains so today. The exposes of muckrakers such as Upton Sinclair further lit a fire in him – that still burns – to stand up for the underdog. Following in the footsteps of these socially conscious writers, Genoways has documented the hardships facing small farmers, migrants and immigrants and he’s explored the effects of big ag on towns and families. Storytelling has captivated him for as long as he can remember. “Strangely fascinated” by the stories others told him, Genoways developed a habit of writing them down and illustrating them, a precursor to the student journalism he practiced in high school and college and to his career today as journalist and author. Some of the stories he heard as a boy that most captured his imagination concerned his paternal grandfather’s experiences working on Nebraska farms and in Omaha meatpacking plants. Though Genoways hails from an urban background, this city boy has repeatedly turned to rural reaches for his work. After all his travels, including a short stint in Minnesota and a decade-plus back east as editor of the Virginia Quarterly Review, Lincoln, Nebraska is where he now calls home. His father’s work meant a nomadic life for Genoways. He was born in Lubbock, Texas and grew up in the North Hills of Pittsburgh, where the family stood out both for lack of want and for the title, Dr., his Ph.D. father carried. Most of his friends and schoolmates were the sons and daughters of blue-collar working parents, some of whom were laid off by the mills and struggling to get by. By contrast, his father was curator of mammals at the Carnegie Museum of Natural History. When the elder Genoways accepted the directorship of the Nebraska State Museum, the family moved to Lincoln in 1986. At Lincoln East High School, Genoways found in Jim Schaffer the first of two crucial mentors in his foundational years as an aspiring published writer. “Jim was our journalism teacher and the publications advisor,” said Genoways, who with some fellow students and the encouragement of Schaffer founded a school magazine, Muse. Only three years after its launch the Columbia School of Journalism named it the nation’s best high school publication. Muse getting singled-out resulted in Genoways and his classmates going to New York to accept the Columbia recognition. By virtue of Schaffer working on a dissertation about baseball columnist Roger Angell, the Nebraska group got entree to visit the legend at his New Yorker magazine office during their Manhattan trip. Three decades later, Genoways is now the established professional emerging young writers seek out. It worked out that Genoways and Schaffer matriculated to Nebraska Wesleyan University at the same time – to study and teach, respectively. Again, with Schaffer’s blessing, Genoways founded a magazine, Coyote. At Wesleyan, Genoways found another key influence in the late state poet William Kloefkorn. Genoways soaked it all in. A particular story oft-told by the author’s father influenced Genoways eventually writing The Chain. As an adult, Genoways sees an interconnected tood system full of health hazards that span the planting, fertilizing and harvesting of the grain that feeds livestock to the ways animals are housed, killed and processed. More family lore has spurred his work. 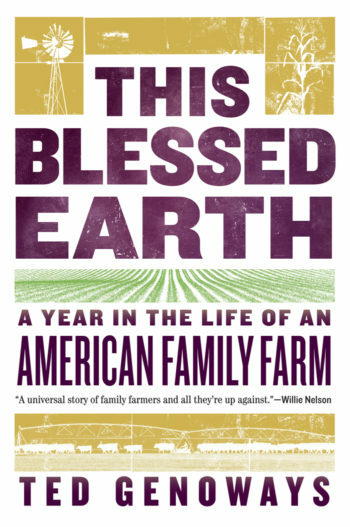 “My grandfather’s upbringing during the Great Depression and landing out in western Nebraska on a farm and raising my dad out there was a big part of what was behind writing This Blessed Earth (A Year in the Life of an American Family Farm). That’s the reason there’s kind of a coda at the end, where I go back to some of those places I remember from my childhood with my dad – but now with a new understanding of all the pressures my grandfather had been under and all the factors that had helped shape my dad’s childhood. 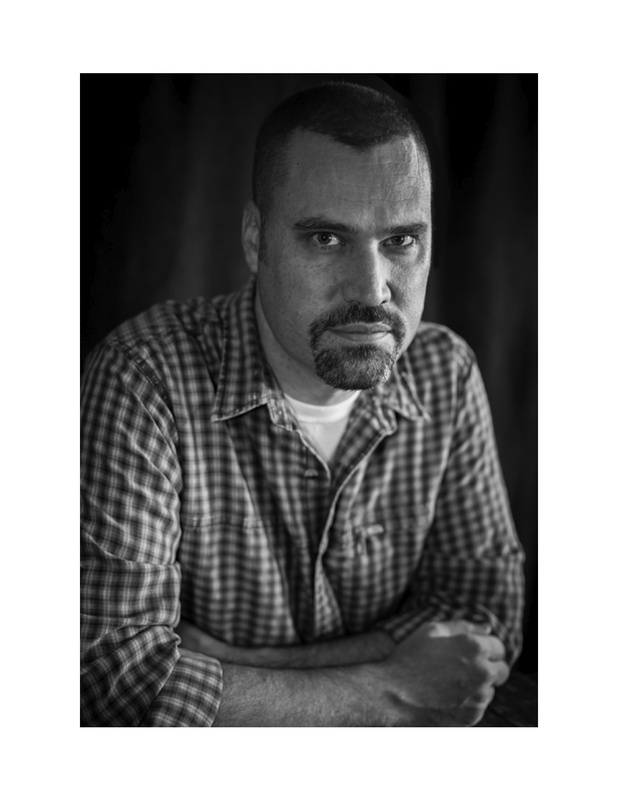 He has used literary journalistic prose and straight investigative reporting for examinations of unsafe, unsanitary conditions at Hormel hog plants in Austin, Minnesota and Fremont, Nebraska and animal abuse in Iowa and for his delineation of challenges facing small family farmers. His work has appeared in Mother Jones, OnEarth, Harpers and other national magazines. Genoways doesn’t shy away from showing his sympathies for the average Joe or Jill who get the shaft from big money forces beyond their control. His reporting in meatpacking company towns revealed sped-up productions lines whose workers. many illegal. suffer more injuries and illnesses. He also shed light on predominantly white Fremont’s racially-charged stands and measures to make life inhospitable for undocumented workers and their families. Finding packers willing to talk to him can be a challenge, but he said he’s hit upon a reliable strategy of reaching out to “whoever in the community is advocating on behalf of the workers,” adding, “There’s all these nonprofits providing interpretive services or medical help or helping navigate the immigration process.” In Austin, Minnesota, where workers suffered a neurological disorder from exposure to an aerosolized mist created from liquifying hog brains, he developed enough rapport with the afflicted that he got several to sign waivers. Since paranoid management makes on-site journalist observations at any plant next to impossible, Genoways finds other ways to recreate what goes on there. “The central problem of working on anything with meatpacking is you’re almost certainly not going to see the workplace, and so you have to kind of reconstruct it from what the workers can describe but then also try to find whatever you can in the way of documentary evidence to go with that. He and photographer wife Mary Anne Andrei have worked on magazine and book projects together. In the Hammonds, they found a tight-knit, fifth-generation farm clan now growing soybeans who defied a proposed TransCanada Keystone XL pipeline route to have cut right through their property. Genoways saw the family as a symbol for thousands jlike them. “They embodied so many of the challenges of modern farming as well as struggles that all family farms are up against — how big to get, how much risk to assume. There were all sorts of new pressures. And to their great credit Rick Hammond and his daughter Meghan and her fiance Kyle all said, ‘We’ve committed to doing this, we’ll stick it out. We want people to see what it’s really like here – what the stresses are.’ So they let us follow them around for that year, It was a tremendous commitment on their part and they really hung in there with us, even in times that were incredibly stressful for them. Genoways recently returned from a trip south of the border for research on his new book, Tequila Wars: The Bloody Struggle for the Spirit of Mexico. The Mill Lady is hard to miss at the Florence Mill Farmers Market on summer Sundays. She’s the beaming, bespectacled woman wearing the straw hat adorned by sprays of plastic fruit and vegetables. She “wears” many hats beyond the fun one. As market manager, she books vendors. She organizes exhibits at the Art Loft Gallery on the mill’s top floor. She curates the history museum on the main level. She schedules and hosts special events. She writes grants to fund operations. Supervising the mid-19th century structure’s maintenance and repairs is a job in itself. Ever since she and her late husband John acquired the abandoned mill in 1997. Meigs has been its face and heart. An artist by nature and trade, she also has an abiding appreciation for history. It took her awhile to arrive at the ag-history-art combo she now brands it with. She made the guts of the mill into the Winter Quarters Mill Museum with intact original equipment and period tools on view. Interpretive displays present in words and images the site’s history, including the western-bound pioneers who built it. She converted the top floor into the ArtLoft Gallery that shows work by local-regional artists. Then she added the farmers market. “It was not really until after it happened I realized what I had. Then I could stand back and appreciate the integrity of it. I felt like it was a natural fit for that building because it was an ag industrial site and an historic site. The pioneer trails is certainly a significant historical passage of our country. “Then, too, I’m an artist and a foodie. I think supporting local is good for both personal health and for conservation of resources. It promotes individual health and the health of the local farm economy. It has less impact on the environment with trucking when you bring things in from close by as opposed to far away. Farmers markets are ubiquitous today in the metro. Hers owns the distinction of being the farthest north within the city limits. It proved popular from the jump. “That first farmers market started with six vendors. Hundreds of people showed. It was a crush of people for those vendors. And then every week that summer the number of vendors increased. I think we ended up with about 40 vendors. I was pleased. Finding the right mix is a challenge. Other markets may have more vendors, but few can match her setting. She cultivates an intimate, upbeat atmosphere. A massage therapist is usually there plying her healing art. Livestock handlers variously bring in lamas, ponies and chickens for petting-feeding. A main attraction for many vendors is Meigs. “Oh, she’s beautiful. Nice lady, yeah,” said Lawrence Gatewood, who has the market cornered with barbecue with his T.L.C. Down Home Food stall. Jim and Sylvia Thomas of Thomas Farms in Decatur, Nebraska are among the produce vendors who’ve been there from near the start and they’re not going anywhere as long as Meigs is around. “Jim and Sylvia Thomas came in the middle of that first season and they’ve come back every year,” Meigs said. “They came towards end of the first season and they’ve always been there since,” Meigs said. Then there’s Gatewood’s “down home” Mississippi-style barbecue. He learned to cook from his mother. He makes his own sausage and head-cheese. He grows and cooks some mean collard greens. Gatewood gets his grill and smoker going early in the morning. By lunchtime, the sweet, smokey aroma is hard for public patrons and fellow vendors to resist. “He’s a real character and he puts out a real good product,” said Thomas. Kenny’s sampler market dishes have also included a fresh radish salad, a roasted vegetable stock topped, pho-style, with chopped fresh vegetables, and a creamy butter bean spread. 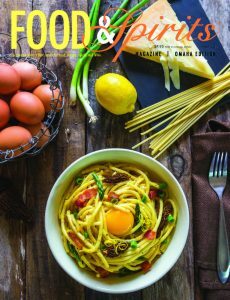 She said she wants people “to see how simple it is” to create scrumptious, nutritious dishes from familiar, fresh ingredients on hand. “From a farmers market you could eat all summer long for pennies,” Kenny said. More than a vendor, Kenny’s a buyer. “It’s so wonderful to have that available,” Kenny said. Meigs said that Kenny embodies the market’s sense of community. Jim Thomas likes that the market coincides with exhibits at the ArtLoft Gallery, which he said provides exposure to the art scene he and his wife otherwise don’t get. Being part of a site with such a rich past as a jumping off point to the West is neat, too. “That’s some big history,” said Thomas. “It’s a great mingling of different nationalities and cultures.” Sylvia Thomas confirmed. “All the vendors help each other out, which is very unique. At a lot of markets, they don’t do that. Here, if you don’t have something that someone’s looking for, we’ll refer you to who has it. After you’ve been there long enough like we have, vendors and customers become kind of a family. Our regular customers introduce us to their kids and grandkids and keep us posted on what’s going on, and they ask how our family’s doing. The couple traditionally occupy the market’s northeast corner, where gregarious Jim Thomas holds court. “Linda (Meigs) tells us, ‘You’re our welcoming committee.’ It’s very fun, we enjoy it a lot,” Sylvia Thomas said. Lawrence Gatewood echoes the family-community vibe found there. Even though business isn’t always brisk, Gatewood’s found a sweet spot on the market’s southeast side. But food, not frivolity, is what most patrons are after. In the fall, Thomas pumpkins rule. The veggies and herbs that Mai Thao features at her family stall pop with color. There are variously green beans, peas, bok choy, radishes, fingerling potatoes, cucumbers, kale, cilantro and basil. Makers of pies, cakes and other sweets are also frequent vendors at the market. The farmers market is not the only way the mill intersects with food. Meigs has found a kindred spirit in No More Empty Pots (NMEP) head Nancy Williams, whose nonprofit’s Food Hub is mere blocks away. Jared Uecker found the market “a wonderful starting point” for his start-up O’tillie Pork & Pantry last year. The mill and NMEP have organized Blues and Barbecue Harvest Party joint fundraisers at the mill. Meigs has welcomed other events involving food there. “I’ve hosted a lot of different things. Every year is kind of different. In 2014 the mill was the setting for a Great Plains Theatre Conference PlayFest performance of Wood Music. The piece immersed the audience in reenactments of the mill’s early history, complete with actors in costume and atmospheric lighting. A traditional hoedown, complete with good eats and live bluegrass music, followed the play. Kesa Kenny catered a lunch there featuring Darrell Draper in-character as Teddy Roosevelt. A group held an herb festival at the mill. Another year, crates of Colorado peaches starred. The mill is part of the North Omaha Hills Pottery Tour the first full weekend of October each year. The Czech Notre Dame sisters hold a homemade kolache sale there that weekend. Finicky Frank’s stands apart from North Omaha restaurants with its farm-to-table commitment and casual-meets-fine dining balance. Chef-owner Kesa Kenny sticks with quality ingredients and keep things simple to create five-star comfort food. The Salina, Kansas native worked the family farm growing up, gaining an appreciation for fresh-natural-local even though things often got overcooked by her elders. As a stay-at-home wife and mother, she raised the kids, maintained a home and made art (dried gourds became a medium). Then, almost on a dare, she poured her creativity and love of good food into cooking. She stretched herself in the kitchen to the point she made her own cheese, butter, bread, noodles. “I was awfully close to self-sufficient. I went to the library and researched. I just got into cooking. I guess I always had been, but didn’t realize how good it could be,” she said. After moving to Omaha in the late 1990s, she worked factory line shifts and flipped houses, saving enough to open her first eatery, the soup-salad-sandwich Center Street Cafe. It was a hit but when she couldn’t swing buying the building to renovate, she looked elsewhere. The first version of Finicky Frank’s – named for a persnickety Ponca Hills neighbor – folded at the Forgotten Store. Then she and husband Brian Kenny, who manages and tends the bar and repairs anything that breaks, opened in one small bay of their present 9520 Calhoun Road location. They found kindred spirits among the local gourmands, small growers and urban farmers, thus making her farm-to-table practice a welcome fit. “They are kind of foodies for the most part out this way. The restaurant soon outgrew its snug confines and seven years ago the couple expanded into the adjacent bay – doing a total makeover. The result is a cozy spot with a not too heavy black and white tiled motif. The laid-back, curated ambience extends from the art on the walls to the music overhead to the soul satisfying, un-rushed food coming out of the kitchen. As time allows during service, the plain-talking Kenny engages diners about their meal or makes small talk. If there’s a snafu with a dish, she personally addresses it. It’s a neighborhood place but both loyal followers and newbies come from near and far. Everyone’s treated the same: warmly. The same confidence and drive that convinced Kenny to be a restauranteur infuses her cooking approach. Years reading recipes and food books, finding new ingredients and ways to use them, fortify her culinary arsenal. She’s open to good ideas wherever she finds them. Like her fried chicken. She starts with fresh, never frozen, organic free-range chickens from the family farm. Salt, pepper and flour. Fried in a stainless skillet in pure vegetable oil. Simple sums up her overall approach to cooking. “Start with a good basic ingredient and keep it simple. If you mess that up, you have no business behind a skillet. Don’t overcook it, don’t over-stress it, don’t overwork it. The same ethos applies to her walleye Thursdays. Her meaty, slightly sweet catch come direct from Canada. The Walleye at Finicky Frank’s is a feast for the eyes first, then the soul. For her succulent steaks, she uses teres major cuts (shoulder blade) from a local purveyor. People tell her her burger is “hands-down” the best in town. It’s all in the details. She hand forms full 8 ounce patties of 80 percent lean Angus beef accented with sea salt for a medium grill on the flat-top. Grilled red onions add a sweet, creamy bite. She serves it all on a buttered brioche bun with choice of add-ons and sides. The moderately priced menu also includes crab cakes, a veggie stir fry, a seafood enchilada, a spinach-mushroom enchilada, a Reuben sandwich, a pork tenderloin sandwich, wood-fired pizzas, scratch soups, crafted salads and various wines, draft beers and cocktails. A small patio offers an outdoor seasonal dining option. She decides daily specials by whim, weather, season and what diners tell her they’re craving. Her own urban farm-garden at her 11-acre Hills home supplies kale, bok choy, peas, green beans, cucumbers. radishes, onions, peppers, tomatoes, fingerling potatoes, cilantro, basil, parsley, et cetera. The nearby Florence Mill Farmers Market is another fresh produce source. She’s a vendor at the market, where she likes educating people’s palettes with homemade, garden-fresh salsa and guacamole and from-scratch roasted veggie broths. The most satisfying thing for Kenny is seeing customers savor their meal by tipping back a bowl to drink the last of their soup or sopping up sauce with a dinner roll. Best of all is when they “clean” their plates. She’s enthused by fellow North O good eats destinations (Alpine Inn, Enzo’s, Florence Mill, Fat Shack BBQ, Omaha Rockets Kanteen). Area options took recent hits when fire totaled Mouth of the South and Fair Deal Cafe closed. Kenny said northeast Omaha is still “underutilized and under-seen.” She envisions a trolley tour hitting historic venues, scenic overlooks and area food spots. She feels North O still suffers a stigma that sees business drop after high profile shootings – even if incidents occur a mile or more away. She wants folks to know about gems like hers and there’s nothing to fear unless you’re counting calories and carbs. Lunch: Tuesday-Friday, 11 a.m to 2 p.m.
Dinner: Tuesday-Saturday, 5 pm. to close. Visit finickyfranks.com or call 402-451-5555.